"The man had the clear intention to kill foreigners," German news agency dpa quoted the top security official in North Rhine-Westphalia state, Herbert Reul, as saying. The victims included a 46-year-old woman, who suffered life-threatening injuries, and a child. Some of the victims were Syrian and Afghan citizens. The attacks began shortly after midnight while people were celebrating New Year's out on the streets. 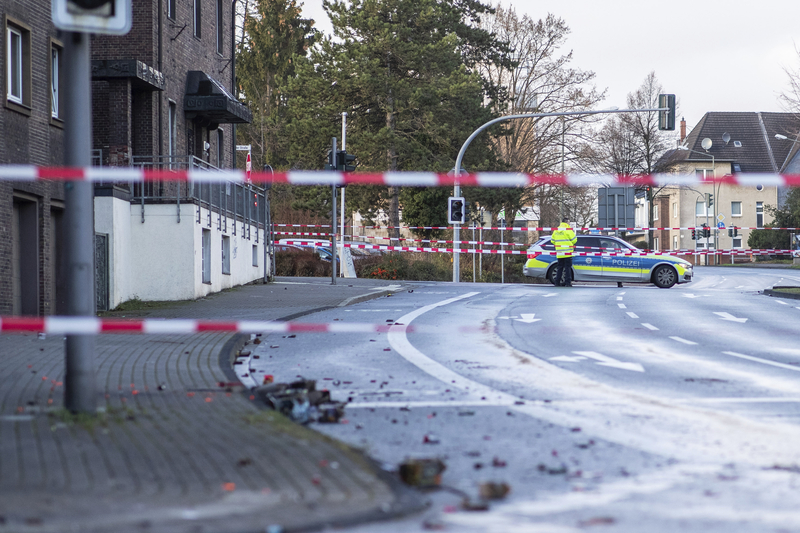 The 50-year-old driver first attempted to hit a group of people in Bottrop, but failed. He then drove into the city center, where he slammed his silver Mercedes into a crowd, injuring four. He then drove toward Essen, where he twice attempted to run people down, injuring one person, before being arrested by police. The man, whose name wasn't released, is being held on suspicion of attempted homicide. Police said the suspect made anti-foreigner comments during his arrest and there were indications he had been treated for mental illness in the past.